The Flailsnails multiverse is distributed and lacks any central authority. It is comprised of numerous, only partially compatible settings, that have drastically different economies. Firearms or even more advanced weapons are available in some worlds, whereas obsidian edged clubs might be cutting edge technology in other places. Whereas part of the effect of this is that the Flailsnails agglomeration as a whole takes on the qualities of the strangest and most extreme of the constituent areas, it does leave open to question: what areas does any given PC have access to at any given time? The conventions themselves are largely silent on this topic, but I have been following some informal rules of my own with my Flailsnails PCs that feel fair to me. Currency conversion. Any XP-equivalent currency in terms of purchasing power is transparently converted between realms. So dollars become LotFP SP become gold doubloons become interstellar credits. Or whatever. Unless a particular physicality is important (such as using silver pieces to craft a crude silver weapon to damage a lycanthrope), in which case you are going to have to have a conversation with whatever referee and figure it out. Downtime actions and equipment purchasing. I only allow my PCs to buy items or take actions within the last setting visited. This means that if my character is not in, say, Kalak-Nur currently, I need to play in another Kalak-Nur game before I can buy stuff there, even if I have played there before at some point. The same goes for administering land holdings or anything else that requires access to some world-specific resource. Character-specific abilities, however, are a different matter. If I make a Holmes magic-user, I will craft scrolls at 100 GP per spell level between sessions, even though a particular session referee might have scroll creation work differently within a given setting. While there is no particular reason why anyone else needs to follow these “rules,” I think they are good guidelines, and also provide adventuring motivation (if you assume that you need to survive a session in wherever before you can buy stuff there). Of course, I also happily apply my own rather stringent encumbrance rules (1 item per point of strength) to all of my own Flailsnails PCs unilaterally, so it is possible that I derive more utility than others from self-imposed limits. This entry was posted in Rules and tagged Flailsnails on August 27, 2014 by Necropraxis. Not too long ago, D&D Classics released the 2E Dark Sun boxed set and the 4E Dark Sun campaign setting. I bought and read them both, and this was the result: some rules to bolt on to an OD&D style chassis in order to run a Dark Sun game with streamlined, lethal rules. The 2E boxed set is the better of the two products, and I would recommend using it for setting material. In the past, I have thought that perhaps a human-only Dark Sun, with a more swords & sorcery, or old Hollywood sandal epic, style might be more interesting than the twisted versions of the standard D&D races that were actually included in the setting. But now I think that is not quite right. The flavor of Dark Sun needs some honestly strange Barsoomian weirdness, which I have included. But there are no elves, dwarves, or halflings to be found. Race has been subsumed into background. You will see that most of the Dark Sun archetypes have been preserved without the Tolkien races, however. There is a PDF version too. In the far future or distant past, a ruined land abides under merciless suns. Of those that remain, most toil hard and die young. Few prosper. Some, however, take an obsidian blade or bone scourge and try to wring what blood and sweetness are left in this withered husk of a dying world. Select (randomly or by desire) a background, class, and (optionally) theme. Depending on those options, contacts and psionic powers may also be called for. 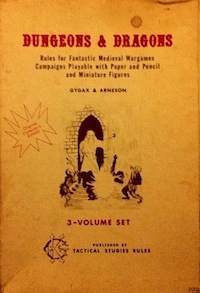 For rules not included here, refer to any traditional fantasy ruleset (Swords & Wizardry WhiteBox, Labyrinth Lord, 1974 Dungeons & Dragons, and so forth). Slave. Either a foreigner captured in war, slaver abductee, or born into slavery. Slave skills and education can vary dramatically based on life before slavery, but most slaves are manual laborers that provide city-states’ resources and finished products. Who is or was your master? Are you still a slave, and if so what arrangement allows you the functional freedom to adventure? Always on the lookout for danger, characters with a slave background gain a +1 to search checks based on d6 rolls or bonus to ability checks associated with perception. Citizen. From a wealthier background. Likely a land-holding noble, professional soldier, free artisan, or templar. Citizens begin with a society contact in one of the city-states (family, army, guild, or templar bureau). Citizens are the only background that may begin the game as a templar (see themes below). Monopolist. Members of the great trading families are never granted citizenship, and in fact monopolist compounds have a pseudo-sovereign status. Monopolists begin with a merchant house contact (useful for hiding from authorities) and may (along with traveling companions) take passage on company caravans without needing to pay passage. Arena-bred. Somebody invested a lot of money either breeding you or purchasing you from a breeder. Gladiators, prestige slaves, and seraglio workers for those with specific tastes are all common employments for arena-bred. The arena-bred tend toward extreme stubbornness and thus make terrible soldiers. Arena-bred gain a +2 bonus to all saving throws and can thrive on half normal rations. Herculon. The elite troops of sorcerer kings. Swollen to enormous proportions by dark sorcery. All herculons have 18 strength and constitution (replace any previous roll). However, virtually all costs, from equipment (which must be custom made) to upkeep and transportation, are doubled. The sorcerous origin of herculons makes them more susceptible than normal to magic, imposing a -4 penalty to saves versus magic when not under the protection of a sorcerer king, and their great size may pose other problems, such as being more likely to be hit by stray missiles, as determined situationally by the referee. Mantis person. Jump twice as far as an athletic human. Jump attack deals +1d6 damage but is only possible if not in melee. Natural chitin AC of medium armor. Mantis people are inscrutable to humans and thus have a functional charisma of 3 to all those not of their own kind. Nomad, dune runner. Hardy, tall, and slender folk that have adapted to nomadic life on the sands. 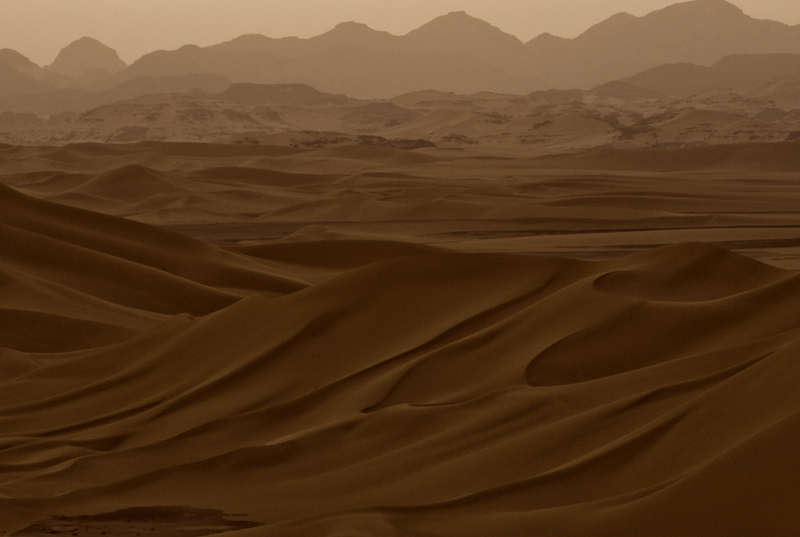 Dune runners have speed equal to 150% of human standard, and are not affected by sunstroke (though they can still die from running out of supplies). Starting contact: nomad dune runner tribe. Nomad, herder. Herders are especially knowledgeable about the savage wilderness, and any party that includes a herder gains a +1 to d6 search tests during wilderness turns. Long association with the partially psionic livestock allows herders to broadcast psychic commands to such creatures with a successful charisma check. Standard reaction rolls should be used to determine actual animal behavior, if such a command is successful. Starting contact: nomad herder tribe. Pygmy head hunter. These wild folk have no taboo against the use or consumption of humans and other intelligent creatures. Head hunters delight in crafting equipment from the remains of their slain enemies. If recognized, they are terrifying, imposing a penalty of 2 to intelligent enemy morale tests. The pygmies are also small and lithe, rarely taller than four feet, and gain a +2 to armor class when aware, unrestrained, and not wearing heavy armor. Sandlark. A scavenger of the desert grit. Sandlarks can be found both within and outside of the few, great city-states. Given a day of scrounging, sandlarks have a 5 in 6 chance of acquiring enough sustenance for 1-2 human sized creatures. Additionally, during each downtime action, a sandlark may repair for free one non-iron item. Classes represent a character’s basic capabilities and never change once selected. Characters of any background may choose any class. From class, determine HP, attack bonus, saving throws, and permitted equipment. Themes are optional, and function like careers that characters of any class can move in or out of. Characters may begin with a theme, and there are no restrictions other than that starting as a templar is only possible for citizens. A character may only have one theme at a time. themes have an associated level, and each time a character gains a level in their base class, the theme level increases as well. Thus, a fighter could start as a gladiator, and progress in that theme for, say, three levels, and then switch to psion. At fifth level, then, the character would have all the standard fighter stats plus the abilities that accrue from being a level 3 gladiator and a level 2 psion. Switching to a new theme requires finding a teacher or acceptance into an appropriate organization. Gladiator. Combat die and special maneuver. Templar. 1 sorcerer king boon per level per excursion. Psion. Gain one power point and a new psionic power (see psionics below). Elementalist. 1 elemental boon per level per excursion. Abilities listed per theme are gained each level. Characters that choose to begin with the psion theme are wild talents and develop their psionic skills without need of a teacher. This development ends if they choose to switch themes, however, and a teacher must be found to progress beyond their natural level of talent. Each theme generally comes with responsibilities as well, such as services to a psionic master or missions for a sorcerer king. Most adventuring templars have special responsibilities as either spies, secret police, or fixers (playing an establishment templar would likely be boring). Note that “gladiator” can refer both to arena combatants and mercenaries or soldiers of fortune that fight in a similarly flashy and intimidating manner. Many sorcerers are psions, as this allows sorcery to be camouflaged with psionic effects. Elementalists must choose one of air, earth, fire, or water and changing this requires changing theme (finding a new teacher, etc). Boons are drawn from element specific lists or developed by the player (with referee approval). Gladiators gain one combat die (d6) per gladiator theme level. These dice may be added to any combat-oriented roll (attack, damage, ability check, and so forth), but must be committed prior to the result of the original die being known. Once rolled, combat dice are expended, though all combat dice are recovered during downtime. Psions have a number of max power points equal to psion theme level. Powers costs one power point per use. All power points are refreshed during downtime. Each time the psion theme level raises, the PC gets another power point and the choice of 1) a new first rank power or 2) increasing the rank of an existing power. The result of increasing the rank of a power is noted in parentheses below. Psions may not use psionic powers if wearing a helmet. Default range for all powers is 100 feet. Default duration is one turn, except for mind blast and pyrokinesis, which are instantaneous. All psions have the ability to control minds. This can be attempted any number of times, though no more than once per exploration turn, and failure causes feedback (1d6 psychic damage). Resolve as 1d20 + psion theme level versus mental defense (which is 10 + psion theme level). Psions reduced to zero HP from such psychic damage are not slain, but rather knocked unconscious, retaining a single hit point. Sorcery consumes life energy. Sorcerers can either draw this from within at personal cost or from external life. If drawn from within, the sorcerer takes 1d6 physical stat damage per level of spell. Each such die of ability damage may be inflicted upon strength, dexterity, or constitution as desired by the player though the stats must be declared prior to rolling dice. For example, a second level spell would “cost” 2d6 ability points. All stat damage from sorcery is recovered during downtime. Sorcerers reduced to zero in any stat are knocked unconscious. If drawn from external life, all vegetation near the sorcerer withers and dies. The energy may also be forcibly drawn from another person, dealing 1d6 damage +1 point of damage per spell level (save for half). Such a target must be within 10 feet of the sorcerer per sorcerer class level. Sorcerers can sense when energy is pulled from external life nearby, as can psions if the energy was drained from an intelligent creature. Syphoning life in this manner is accompanied by spectacular blue lighting, which conveys the sorcerous energy from the victim to the sorcerer’s outstretched fingers. Using either method, the spell cast is wiped from the sorcerer’s mind and must be prepared before it can be cast again. Default coinage is the ceramic chit, and should replace the gold piece if consulting other rules. Metallic coins are extremely rare and function much like gems in other settings. Weapon and armor prices assume bone construction, double for obsidian, and quadruple for chitin. Bronze and iron cannot be purchased on the open market, being only permitted to the agents of authorities within city-states. Rules for gear degrading can be found here. Most contacts will offer up to one favor per downtime, in appropriate circumstances. This can be information, basic assistance, or small material aid. Contacts will not generally endanger themselves unduly. Contacts may also call upon PCs, as all relationships go two ways. Finding a hidden contact requires “searching” as a downtime action. The chance of success is 1 in 6. Once such a person or group is located, there is no guarantee of a favorable reaction. Generally, a PC will need to offer something in return for training or to build trust with the organization, especially if the nature of the contact is proscribed (smuggler, sorcerer, freedom fighter). This entry was posted in Rules on August 17, 2014 by Necropraxis. The fourth annual OSRCon is going to be held in Toronto again this year. Unfortunately, I will not be in town when it will be going on, but I attended the past two, and enjoyed both. In the first, I played a magic-user that explored Dwimmermount. In the second, I played a Pathfinder adaptation of White Plume Mountain and ran an OD&D game set in the Fight On! community mega-dungeon, The Darkness Beneath. My understanding is that this years event will be far more casual, more like a game day, without panels or guest speakers. The details are being coordinated on a Google Plus community, and the specific event can be found here. It is happening on saturday, august 23rd. So far, I see LotFP, AD&D, Basic D&D, and DCC games already scheduled. I wish I could make it. This entry was posted in Spotlight on August 7, 2014 by Necropraxis.